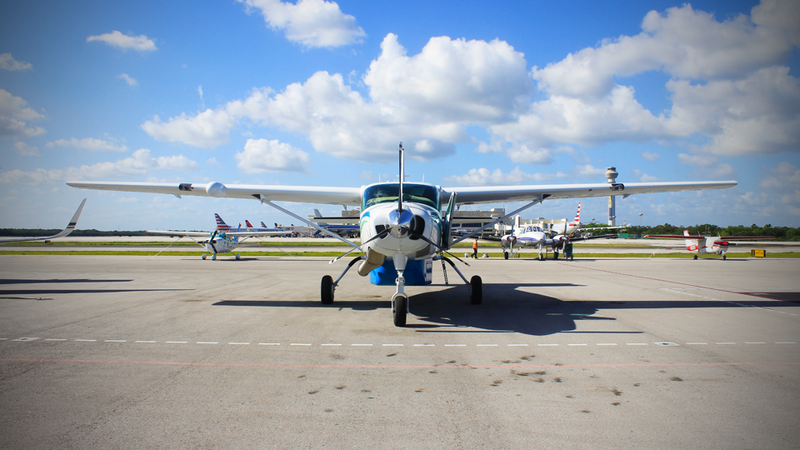 The Cessna 206, also known as Skywagon, is a highly reliable fixed landing gear aircraft, mainly used for passenger transport, as well as for photography and parachuting. The Cessna 208B Grand Caravan turboprop is the most reliable ever built. It is the ideal aircraft to operate in the area and will give you great comfort with panoramic capability.